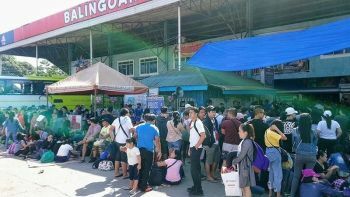 LA TRINIDAD Councilor Roderick Awingan is pushing to localize traffic regulations in the Benguet capital town. A public hearing was held January 10 on the proposed ordinance “The La Trinidad Traffic Safety Ordinance”, which is aimed at addressing urban issues of traffic and transportation, management and enforcement. “This way, we are going authorize traffic enforcers to enforce violations, although it is national in scope but localized in our municipality,” the councilor conveyed. To recall, several ordinances were created related to traffic created for bicycle, exhaust pipe, speed limit, jay walking, obstruction, overloading among others. With the several laws created including the recent proposed measures, Awingan added these serves as working draft to be a code to aid all enforcers for traffic regulations and be perfected on May as target date of its implementation. “The enactment of an ordinance on motorist’s obedience to traffic signs will now give our traffic enforcers the outright authority to manage our roads with dignity and instilling discipline within thoroughfares,” the councilor added. The proposed ordinance provided traffic rules and regulations on all roads in La Trinidad with exemptions for emergency vehicles. It also added the municipality was caught off guard of the traffic and transportation issues at hand due to the swift effect of rapid commercialization. The ordinance covers operation of traffic control signals, obedience to signs and symbols, driving, turning, reversing and stopping safety regulations. Careless and dangerous driving under the influence of liquor or drugs, accidents safety regulations, lighting, warning sign, equipment, weight, size and load safety regulations, duties and responsibilities while operating a motor vehicle, and penalty for violations are also covered by the ordinance.